After completing his master’s degree and having a love for languages, Paulo Barrett began working with virtual assistants (VA) in 2005. He became an expert in knowledgebases and natural language processing. From there, he continued to grow in this niche industry, learning about client, team, and business management. He brought his skills to the emerging US VA market in 2009. As with most startups, there’s an abundance of opportunities to wear many hats, and Paulo wore them all. He worked closely with the CEO to develop a stellar team, create demos, and deliver projects. He has consistently encouraged team members to share their ideas and given them space to step up and have autonomy. As the company grew, he took on the role as VP of Services, overseeing the operations. 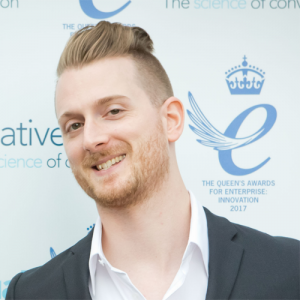 He has always had an interest in the development of the core product and often worked with the R&D department to further improve the product to meet the needs of Creative Virtual’s clients. He stepped into an official global role as COO in 2017, a move which he largely attributes to the team he’s built up, saying that his confidence in them allowed him to take on more.